Sale of over 300 vacant parcels of HRA-owned land for construction of new, single-family homes, at market-rate prices. It is a five-phase development totaling approximately 180 units. To date, 133 homes have been constructed and sold. In 2010, the Redevelopment Authority approved replacing Struever Rouse Homes with GreenWorks Development as the developer. In April 2007, HACC and the Redevelopment Authority formalized its first partnership activity at the former Domestic Linen site. With HACC as anchor, creation of a campus that spans from Green Street to N. 6th and Harris to Reily Street. The second phase of site improvementstemporary surface parking lotwas competitively bid, awarded in September 2009, and construction completed in June 2011. In June 2003, the Redevelopment Authority took ownership from HUD a total of 301 low-income rental units, and obtained $11.8 million in HUD Upfront Grant funds for renovations. From 2005 to 2009, all approvals for the land development plan were obtained, financing was assembled, all underground infrastructure was completed, and 11 homes substantially completed. In February 2010, HRA approved replacing SBER with Landex as the Designated Developer, converting the balance (69 units) of for-sale lots into 15-year lease, then converted to for-sale. In July 2010, PHFA awarded federal Low Income Housing Tax Credits to the project and construction began in Spring 2011, and units began coming on-line in January 2012. 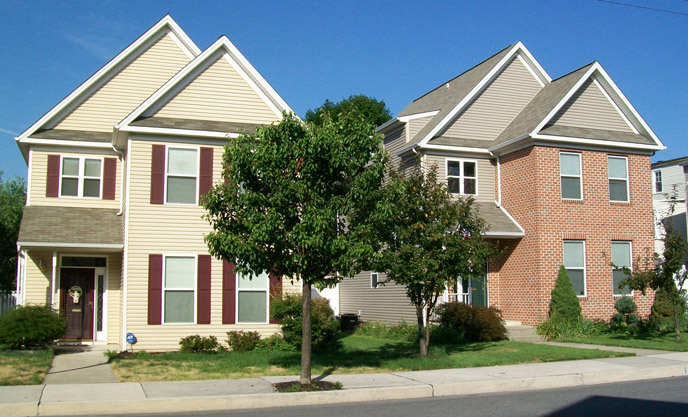 Welcome to the Harrisburg Redevelopment Authority's Website! Established in 1949, the Redevelopment Authority partners with the City of Harrisburg’s Department of Building and Housing Development to carry out the City’s urban renewal and revitalization strategies. To achieve its goals, the Redevelopment Authority may itself redevelop real estate, but it primarily engages in public/private partnerships to leverage local, state, and federal funding for new business and housing development. The next regularly scheduled HRA meeting is May 21, 2019. Click here for a complete meeting schedule and agendas! On 8 p.m. EDT Friday, September 23, 2016, FTA's TrAMS Grantmaking System will close for federal Fiscal Year 2016. This is part of our standard procedures for annual year-end processes. Another critical meeting for all interested will be June 20th held at two times, 3:00 pm at Hamilton Health Center (to be confirmed) and for those who cannot make it till later, at 6:00 pm at Derry Street United Methodist Church, 1500 Derry Street, Harrisburg, PA 17104. Community members, residents, property owners are asked to shape and form the process for the brownfield plan. HRA successfully obtained a grant from the US Environmental Protection Agency (EPA) for “Brownfield Area Wide Planning” (AWP) to tackle blight that is “Brownfield.” Brownfield is a specific type of blight. For more information and to download presentation materials go here! Questions: George Payne, gpayne@hra-harrisburgpa.org or (717) 255-6431. Beautifully Renovated 2 & 3 Bedroom Townhomes Now Available! Just minutes from Downtown, Harrisburg!